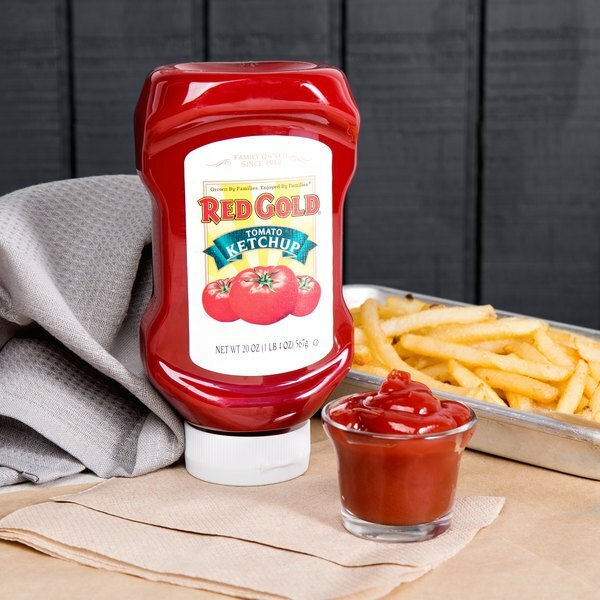 With its balanced sweet and tangy flavor, this Red Gold ketchup is an ideal condiment to keep on hand for a variety of food items. 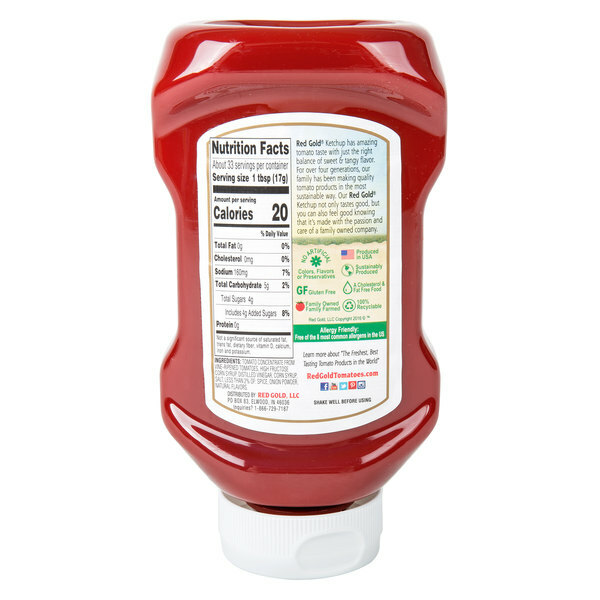 Its vibrant red color, satisfyingly smooth consistency, and rich tomato flavor make it a great option to dip and enjoy with mild fried foods or to spread on top of sandwiches. From crispy, golden-brown french fries to hearty, old-fashioned burgers, your guests will fall head over heels for this savory topping. 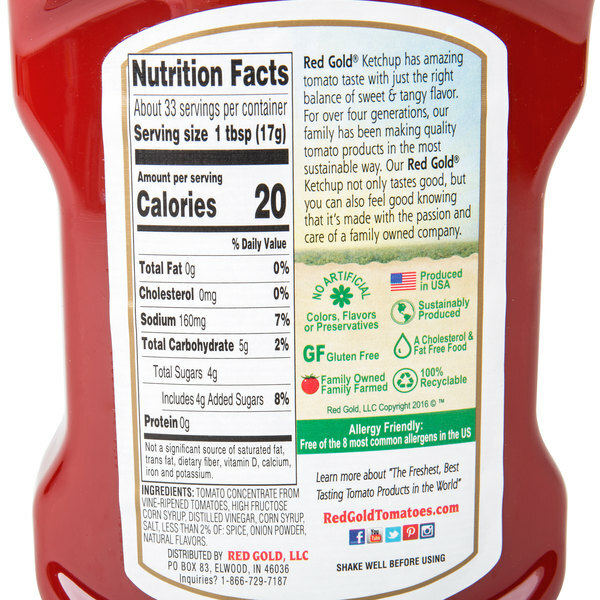 Red Gold ketchup is made with perfectly ripened tomatoes and contains no artificial colors, flavors, or preservatives. 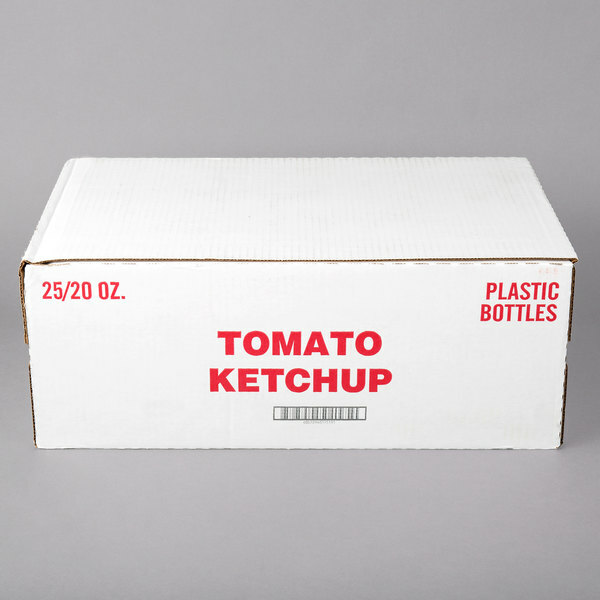 Plus, it's a great source of lycopene, a healthy antioxidant found in cooked tomatoes. 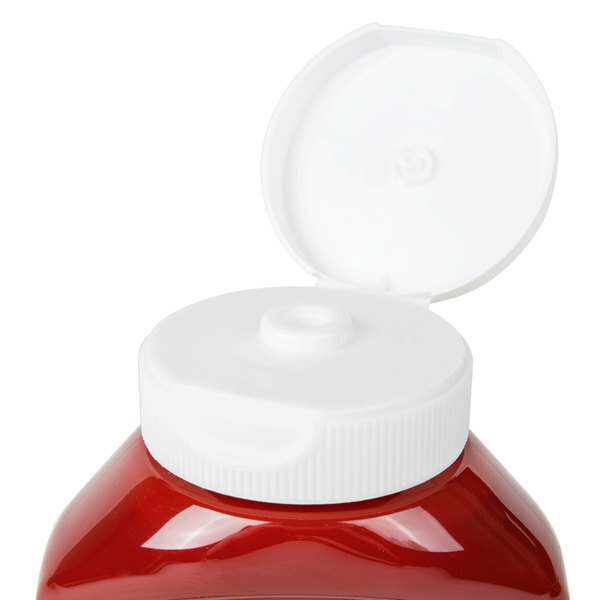 The upside down, squeeze-style bottle also makes it easy for customers to shake and then dispense the perfect amount of ketchup on their food, according to their individual preferences. 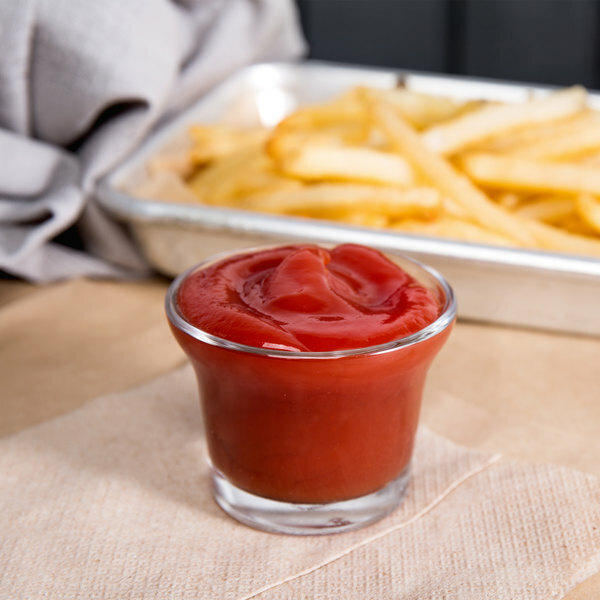 Ketchup is a time-honored sauce that guests of your concession stand, restaurant, or cafeteria are sure to love! 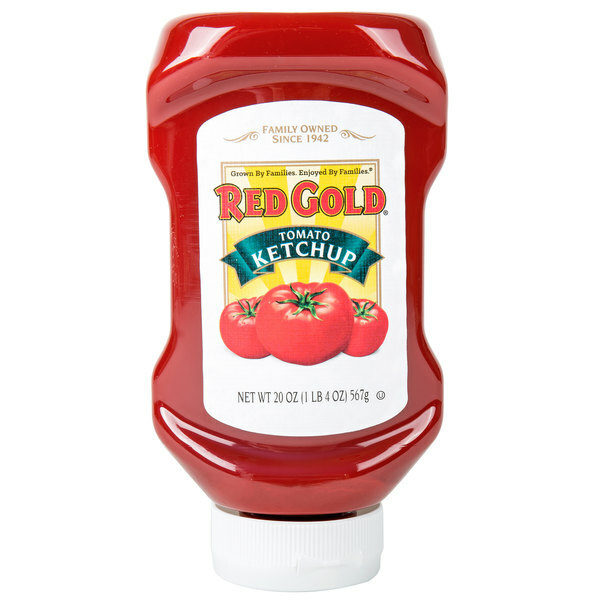 Since 1942, Red Gold products have been grown by families and enjoyed by families. 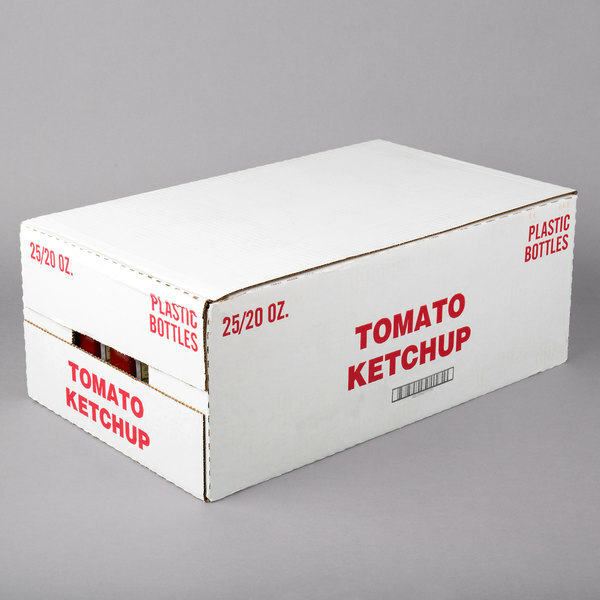 Ensuring you get a premium product created in a sustainable manner, their tomatoes have been grown in partnership with local family farmers for many generations. 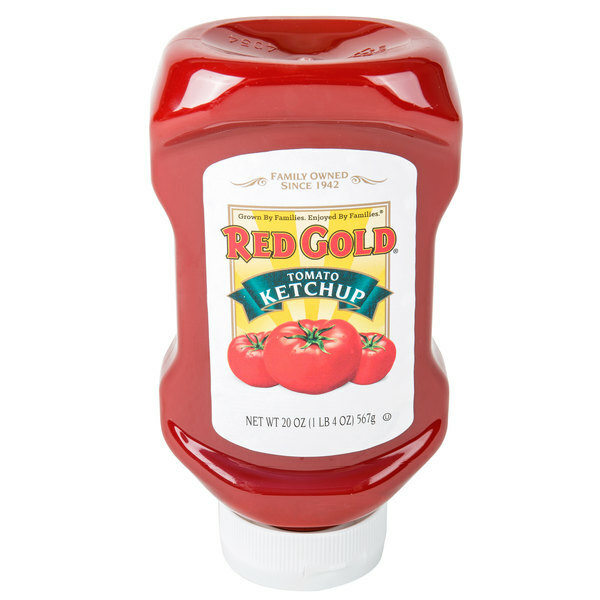 Always keep Red Gold tomato products on hand in your kitchen to create a culinary masterpiece that brings people together.